Los Angeles drivers spent, on average, 128 hours stuck in traffic last year, according to a new report from transportation data tracker INRIX. Those lengthy delays helped to make LA the fifth most congested city in the U.S., by the company’s metrics. Two years ago, Los Angeles topped a similar list released by INRIX, but the company has updated its ranking process since then and now finds that the cost and length of delays is worse in other traffic-clogged urban areas. In the current ranking, Boston; Washington, D.C.; Chicago; and New York all beat out LA’s traffic during peak commuting hours. On an international level, Los Angeles traffic levels are the 47th-worst in the world—far behind first place Moscow, where drivers lost 210 hours sitting in traffic last year. The authors of the report note that Los Angeles’s sprawling landscape and lack of a unified urban core may be keeping traffic slightly lighter relative to cities like New York and Boston, where gridlock intensifies around the downtown area. Still, some roadways in LA are just as congested as any in the nation. 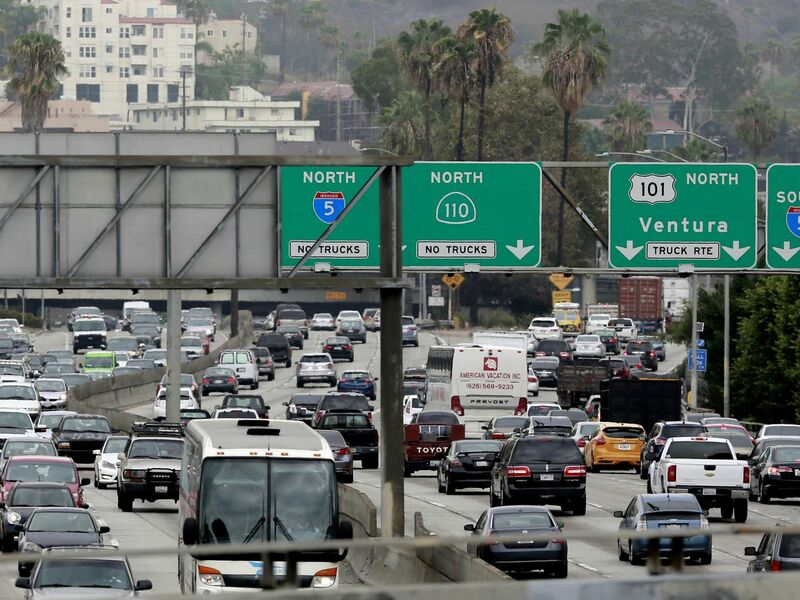 Two stretches of freeway made INRIX’s list of the most traffic-clogged U.S. corridors. On the 10 freeway between the 405 and the 110, drivers encountered delays of 19 minutes per day. On the 101, drivers hit daily delays of 13 minutes between Hollywood and Downtown LA. In Los Angeles, the financial cost of traffic reached $9.3 billion in 2018, which shakes out to about $1,800 per person. Numbers like these could go up in future years, as LA’s population increases and rates of car ownership continue to rise. Still, the authors of the report point out that congestion levels mean different things for different cities. Los Angeles officials are considering a congestion pricing system, but the as-of-yet undefined policy is already proving controversial among members of Metro’s Board of Directors.